Aside from George Lucas, no one defined the Star Wars aesthetic more than Ralph McQuarrie. 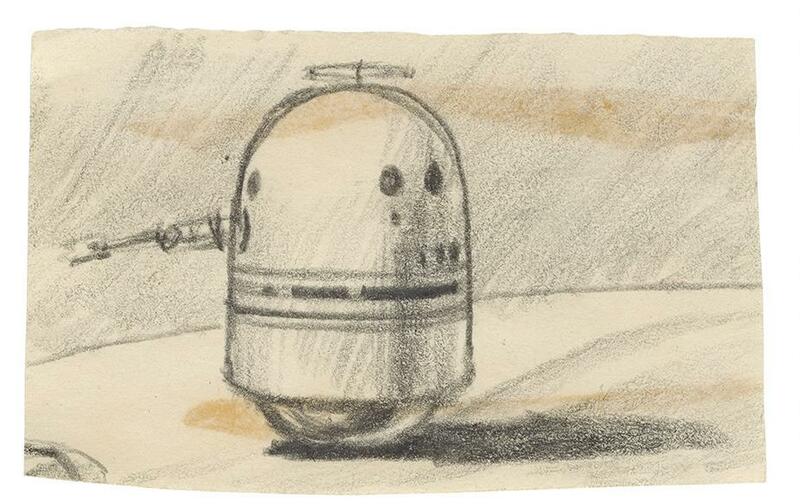 The artist, who died in 2012 at age 82, got his start doing technical illustrations for Boeing, and would eventually win an Oscar for Cocoon, but his greatest contribution to pop culture came via his stunning, vital concept drawings of characters, creatures, landscapes, and architecture that continue to drive the design of Star Wars some four decades later, including in The Force Awakens, Rogue One, and TV’s Star Wars Rebels. 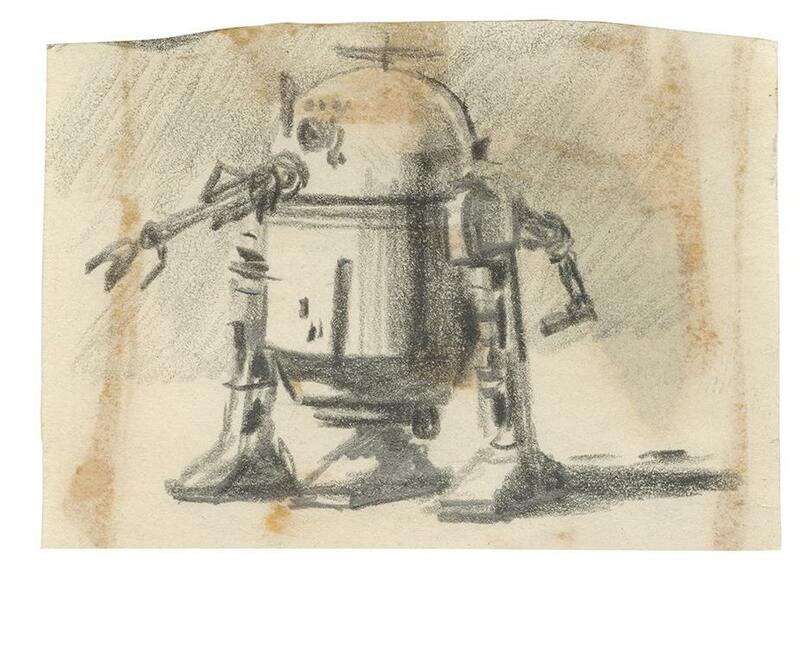 “One could say that the Star Wars universe derives its look from the mind, and wrist, of Ralph McQuarrie,” says artist and graphic designer Wade Lageose. This week sees the arrival of Star Wars Art: Ralph McQuarrie, a lavishly illustrated 800-page, two-volume set from Abrams Books that bills itself as “the most definitive collection” of McQuarrie’s work, assembling more than 2,000 pieces of concept art, including several that have never been displayed outside the Lucasfilm archives. Here, the book’s authors — Lageose, Brandon Alinger (author of Star Wars Costumes: The Original Trilogy), and David Mandel (an Emmy-winning writer-producer for Saturday Night Live, Seinfeld, and Curb Your Enthusiasm, and current Veep showrunner) — share with Yahoo Movies details of their Star Wars treasure hunt, reflections on the enduring impact of McQuarrie, as well as some select — and exclusive — pieces. 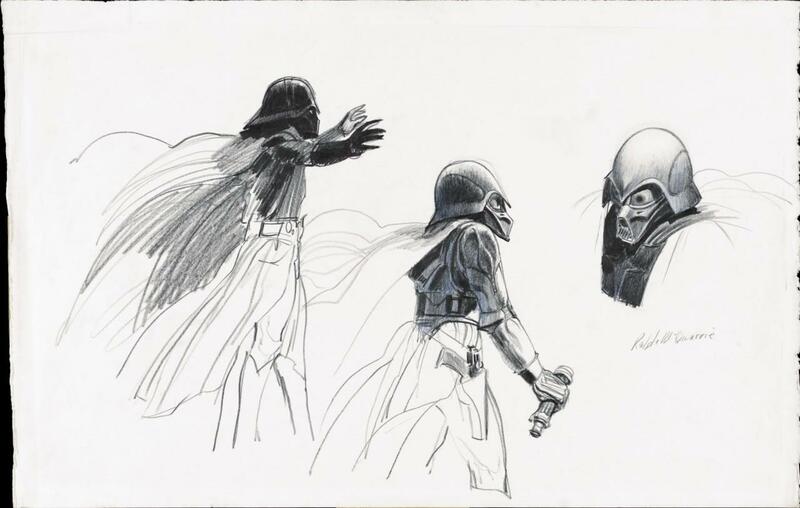 All images courtesy of Star Wars Art: Ralph McQuarrie ($250), by Ralph McQuarrie, Brandon Alinger, Wade Lageose, and David Mandel. Foreword by George Lucas, Abrams Books, 2016; copyright 2016 Lucasfilm Ltd.